Yea, me neither. 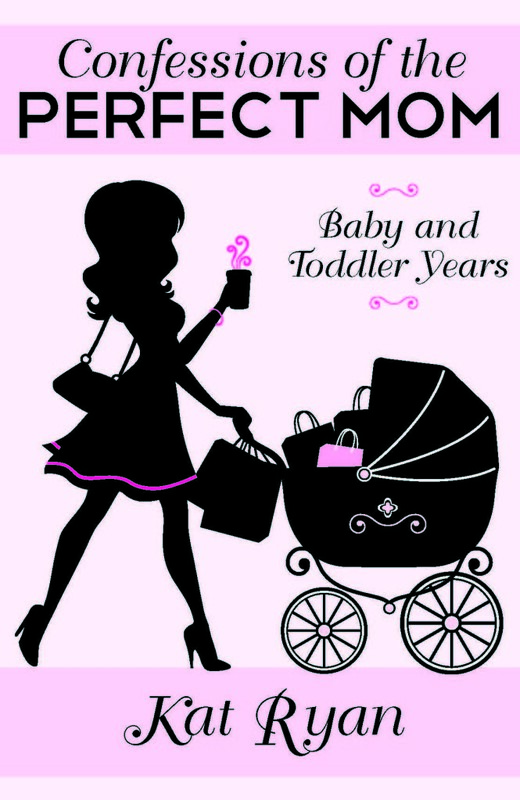 I have to admit that after having my kids, my already fine thin hair; became even limper and so fragile. For the first ever I really understood what people meant when they said that their hair would break off. There is no shampoo on the planet that was going to breathe any sort of life into my hair. And products, yea those don’t work either. Even the ones made for fine, thin, limp, lifeless hair would weigh mine down. Leaving me looking like a greasy, oily mess. 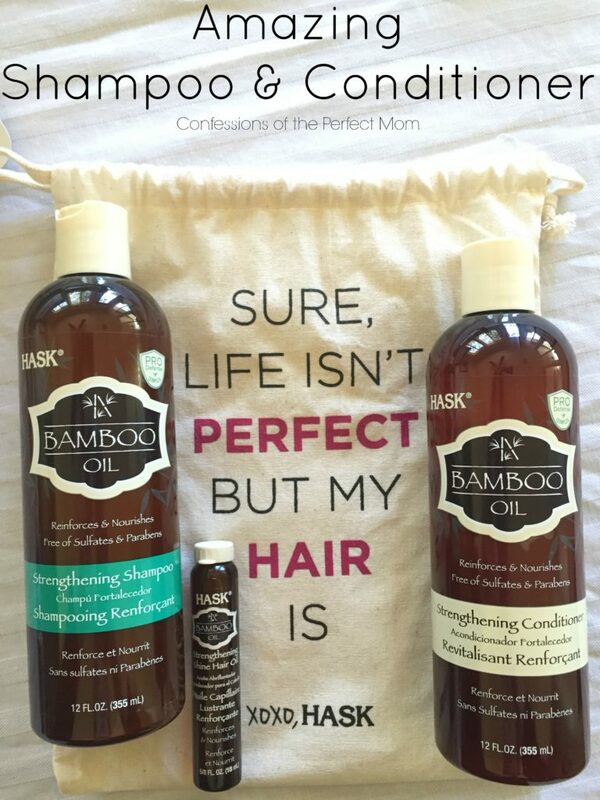 When I was asked to try HASK Bamboo Oil Strengthening Shampoo and Conditioner I had really mixed feelings here. On one hand it had the word oil in the name. My hair and oil did not mix. But on the other, there was no harm in trying since my hair was already a mess. The day came and their product showed up at my door. Let me tell you, they know how to package a package. All the product came in the best canvas reusable bag ever. It says right on the front “Sure Life Isn’t Perfect But My Hair Is”. Talk about something to live up for. Then the actual bottles are very spa-esk looking. They are dark brown and the writing is in a cream color. Very pretty and easy to read. Plus they through in a few extra surprises. Some deep conditioner, and some strengthening shine hair oil. The product smells amazing. Very light, floral, and feminine; and that light scent lasts all day. While it suds up, it is not a huge lather like some other shampoos. Which was a little odd, I like a lot of suds. While it was a decent shampoo, it left my hair a tangled knotted mess. The conditioner was light, but powerful. It removed all that crazy mess I had going on, and left my hair silky smooth; tangle free. Overall, I would only use these two products together. Now onto how my hair looked after using said product. My hair was very shiny (not in an oily way, but in a healthy hair way), there was some volume in it, very very soft (which my husband loved); and it was strong. I didn’t think that you would be able to visually look at hair and see that it was stronger; but you can. And over time using this, my hair got even stronger. The benefits have been huge for my hair. Now to the downfall, cause no product is perfect. After about 6 hours, my hair starts to look oily and is very weighed down. There is no volume left at all. And certainly no second day hair. It has to be washed daily. And at the point it is to much for my hair. The easy solution was to use this shampoo/conditioner twice a week, then use my normal shampoo/conditioner the other days. Overall, I will buy this product in the future and continue to use a few times a week. There is certainly enough benefit to be very happy with that. What are your hair issues? What products have you found that help with these?